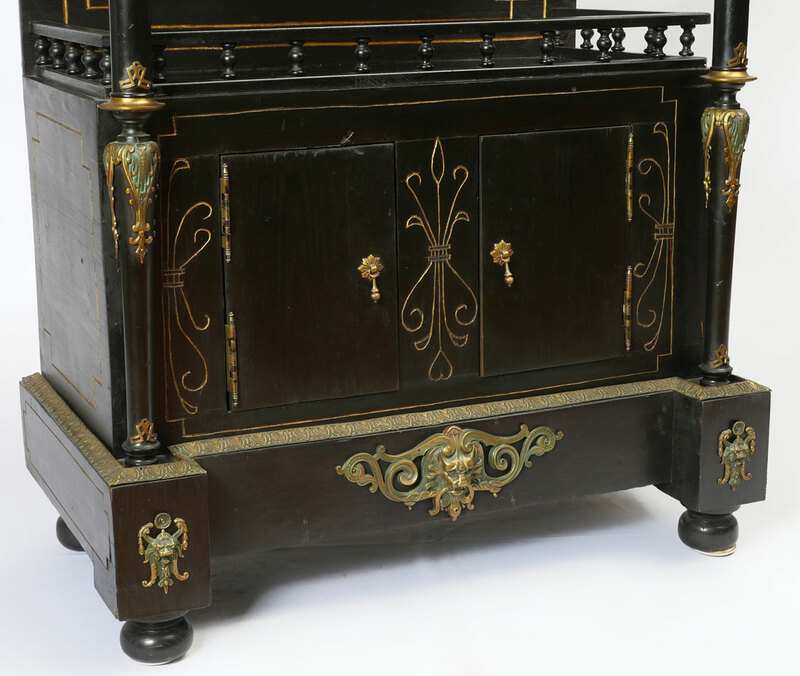 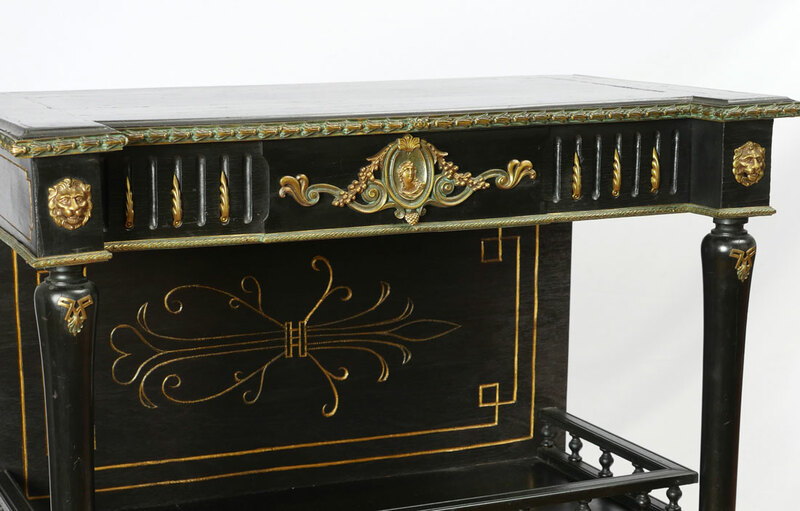 VICTORIAN EBONIZED SIDE CABINET: Server side cabinet with ebonized finish, gilt metal accents and mounts include foliate scroll, masquerons, and medallions. 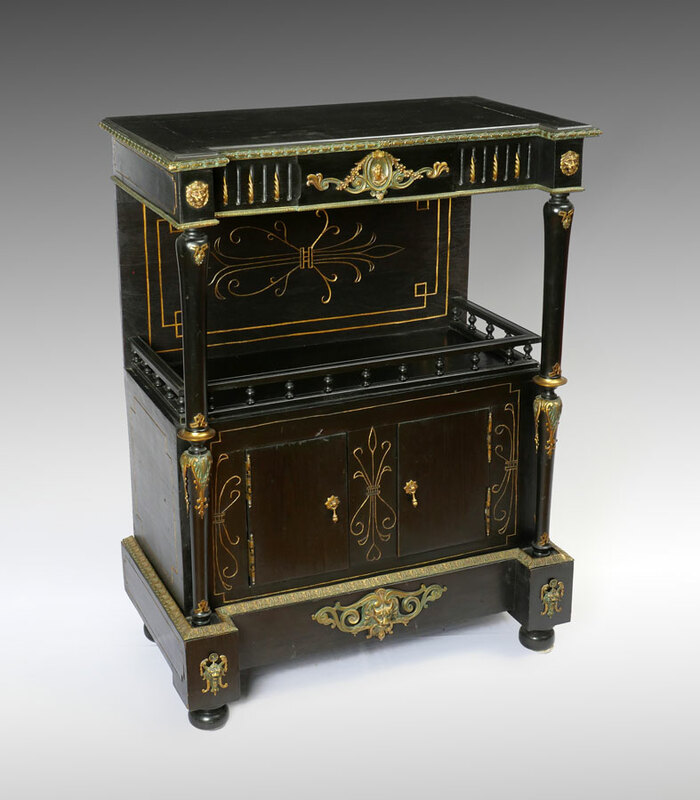 Shaped top over open storage with wood gallery, gilt enhanced carved backsplash, over 2 doors, turned full column stiles. 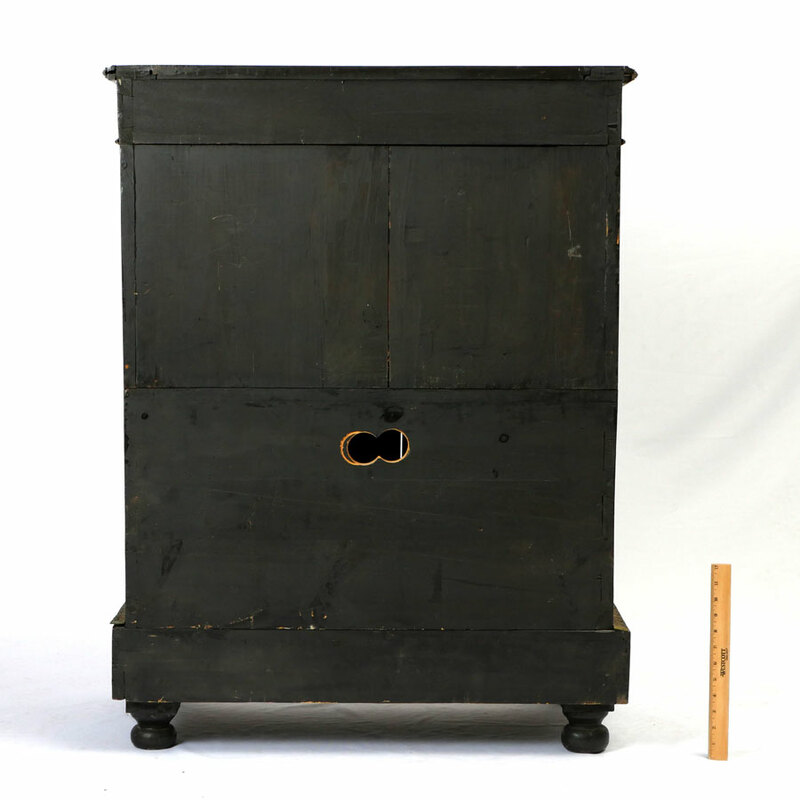 All on 4 legs, overall measures 42 1/4'' h. x 18'' x 32''.